Last year Fund4Trees took a lead role in helping celebrate the launch of the Tree Charter (read more). Trustees and supporters cycled from London to Lincoln to celebrate the launch, carrying with us a cutting from the famous Ankerwycke Yew, under whose boughs the Magna Carta was signed in 1215. The rare yew cutting, provided by the National Trust (read more), has now been been planted at the University of Lincoln. 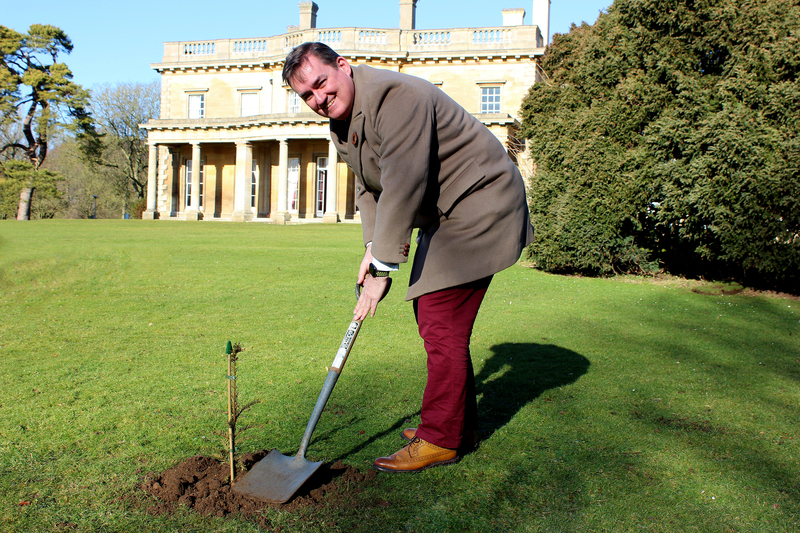 “This plucky sapling, which has travelled all the way from Surrey to Lincolnshire, is the Tree Charter – symbolising progress, inspiration and hope. It took 2 years for the Magna Carta to weave its way into the rights and responsibilities laid out in the Charter of the Forests between people and trees. It’s taken 800 years for us to acknowledge the debt we owe to trees, and to establish a new accord between us and them.